Relax Melodies: Sleep like never before. Mix, play, sleep. It's that simple. Experience sleep like never before. 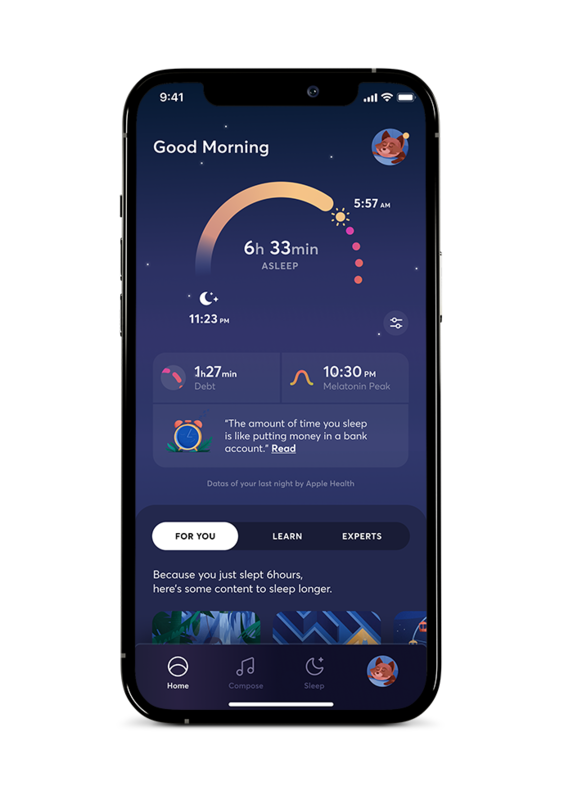 Thanks to Relax Melodies, over 30 million users benefit from deep, uninterrupted sleep every night. Combining over 100 relaxation sounds, melodies, binaural beats and white noise, Relax Melodies allows you to create your very own relaxing soundscapes. Play them all night or for a determined period of time, thanks to its built-in timer. Discover the magic of sleep meditations. You’ll love combining your sounds to our guided meditations, which are specifically designed to help you sleep. Whether you suffer from insomnia, tinnitus or stress, Relax Melodies is a promise to a relaxing bedtime routine and the beginning toward blissful rest. Mix. Play. Sleep. It’s that simple. Sometimes I do remember my dreams. They are quite action-packed, and extremely stressful. This has greatly improved my sleep and even my health. I meditate with it every day and my mental health is vastly improving. Would recommend this to anyone. Literally anyone. Good job, Ipnos!!! !